For the first time ever the Calgary Dinos can call themselves Canadian U sports Men’s Basketball Champions. In battle of two teams looking for their first title, the No. 2 seeded Calgary Dinos defeated the No. 5 Ryerson Rams in a thrilling 79-77 National Championship game that came down to the last play. With the Rams trailing 77-74 with 16 seconds remaining First Team All-Canadian Guard Manny Diressa capped off a furious comeback burying a clutch three-point shot to tie the score at 77-77 with nine seconds of the clock. 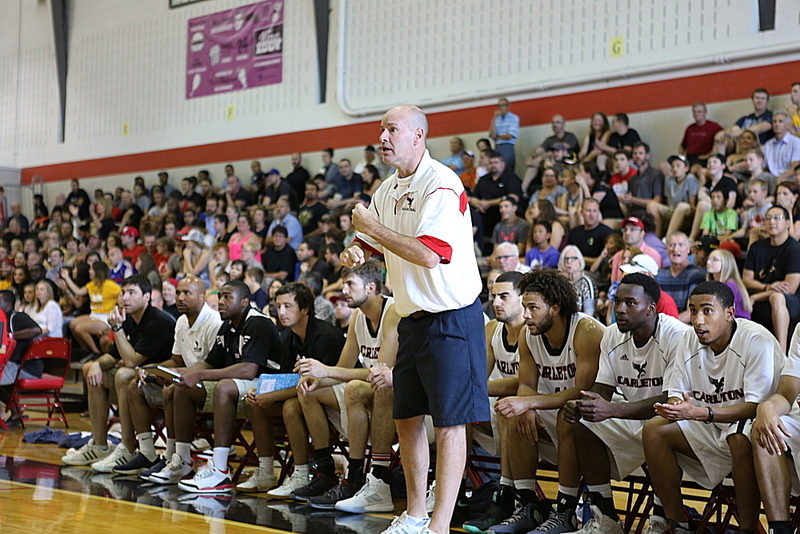 Coaching in his second title game and sixth Usports/CIS Final 8 Dinos head coach Dan Vanhooren opted to call a timeout to calm his troops and his veteran team responded by executing his instructions and play-calling to perfection as All-Star Mambi Diarri came off a double baseline screen and smoothly scored the games’ final two points with 2 seconds remaining. Diarri, a fourth-year, 6’4′ guard from Montreal, Quebec finished with 14 points, 10 rebounds and 6 assists earning Final 8 all-tournament All-Star honors. Point Guard David Kapinga (Calgary, AB), playing in his second championship game in three years wasn’t to be denied after falling short against the Carleton Ravens in 2016. The 5’11’, 175 lbs guard muscled and carried his team to victory with Most Valuable Player (MVP) 25 points, 8 rebounds, 6 assists, 10-of-20 shooting performance. Calgary got off to a hot start as 6’8″, 210-pound German international import Lars Schueter (18 points, 7/15 shooting) scored his team’s first ten points followed by a three-pointer by Kapinga helped push the Dinos lead to nine points at 13-4, forcing a Ryerson timeout. As expected the Rams responded, largely on the play of Jean Victor-Mukama’s (Hamilton/ON) shooting effort, cutting the lead to three points on multiple occasions but Calgary continued to execute their sets and led 39-30 at half-time. After a scoreless first-quarter and just six points in the first-half Rams fifth-year senior Manny Diressa took over the game scoring 24 of his game-high 28 points in the second-half. Ryerson closed the deficit within four at 55-51 but another David Kapinga three-pointer game Calgary a 57-51 lead with the last quarter of the season remaining. Determined not to squandered their second consecutive title game the Ryerson Rams ripped off a 8-0 run to open the quarter and grabbed their first lead of the game at 59-57 on a Diressa traditional hoop plus the harm three-point play. For there the action intensified with both teams exchanging baskets and the lead four times including six ties in the last six minutes. Calgary put the pressure on the Rams with the two key baskets in the last minute for a 76-70 advantage before the late game heroics. Diressa capped off a stellar three-year career by averaging a tournament best 27 points per game, 5.3 assists, 3.3 rebounds and shooting 52.1% from the field and 90.9 from the free-throw line. The two teams also met in preseason non-conference action back in October 22, 2017 at the Brock Badgers Classic, the Dinos pulled off a tough 87-85 overtime win. The win is Calgary’s first in 15 championship appearances dating back to 1966. Having reached the National Semi-Finals on three occasions during Vanhooren era they finally were able to get over the hump in a deserving victory that will forever be remembered in Dinos history.